Whether it's preparing bottles, making baby food, or scrubbing the floor after a typical lunch with two toddlers, A LOT of time is spent in the kitchen. We've come up with our top 10 favorite kitchen accessories, which made/make our lives a little easier. 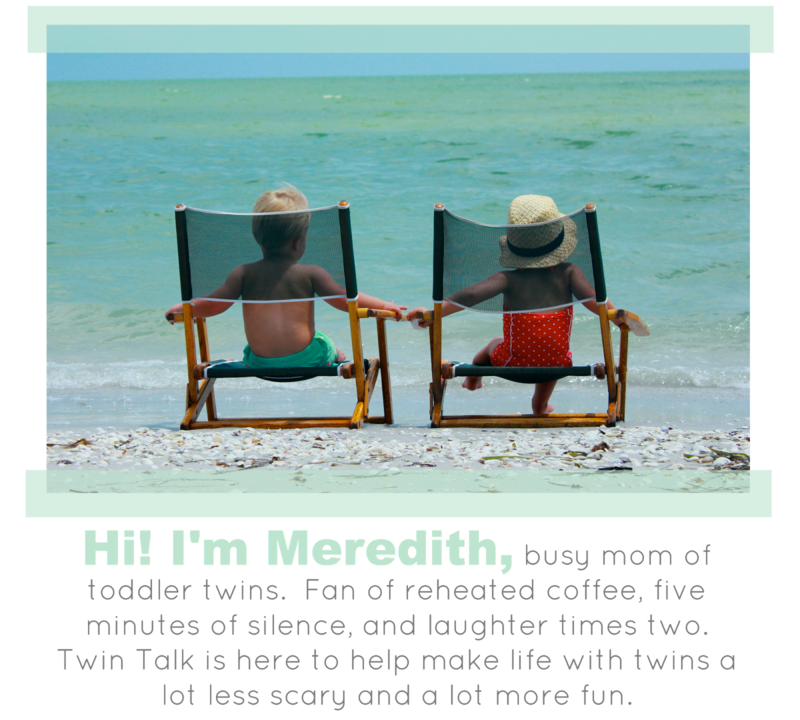 If you haven't noticed, "making your life easier" is our mission at Twin Talk. 1. Rubbermaid Easy Release Ice Cube Tray. Making baby food for Parker and Jolie consumed my brain from months 4 through 12. Not "consume" in a bad way, but because I loved doing it. I made their food in bulk, usually over the course of a weekend, and definitely couldn't have done it without these ice trays (in six months I prepared food in bulk just three times). I confess to owning eight trays, and probably could have stood to get a few more. 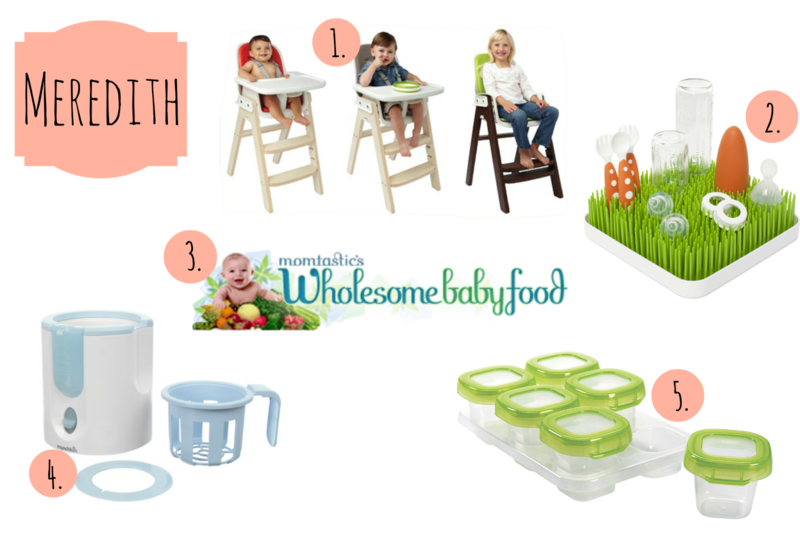 I tried the more expensive specialty baby trays, and while I did love them, they weren't as practical (budget-wise) for how much food I was making at once. Each cube holds about one ounce of pureed fruit and/or vegetables and once frozen they pop out without a fight. 2. Baby Brezza Food Processor. While it isn't a complete necessity for a "baby food processor" when making your own pureed foods (Meredith used a blender), I feel like I got my money's worth out of how much I used the Brezza. Steaming and blending with one push of the button took out the bulk of the work in baby food making. I also loved the Brezza Storage System when making small amounts of purees I planned to use the same day rather than freeze to store. 3. All-Clad 7-Qt. Deluxe Slow Cooker. Two words: Life. Saver. Nothing says "easy" like a one pot wonder. A literal "set it and forget it" mentality plays out at least once a week in my house, and now even more so since the girls have started eating 3 meals a day. Rotisserie chicken is always on hand with use of the crock pot (chicken breast, salt, pepper, 1/2 cup chicken stock - LOW for 5-6 hours). It's versatility goes forever! My particular slow cooker has a lofty price tag ($250), but the quality of this machine goes without words to describe. I've owned a couple different brands, and this is by far the best. My mother in law would agree as well. After going through three in just one year - each time I encouraged the purchase of the All-Clad, and each time she bought another $50 cooker - finally, finally, she made the splurge and has zero complaints. If you're on the fence about this one, go ahead and hop on over. 4. Rockin' A B Designs Wipe Off Pocket Bib. We are messy. Really messy. We strip the girls before we even think of sticking them in their high chairs to eat, but even still, they are a mess after meal times. These bibs off-set the potential disaster that are my children. The pocket catches nearly all of the food that seems to miss their mouth, and the material is easy to wipe down. If only this bib protected their sticky mop after the plate ends up on top of their head at some point during a meal. 5. Dr. Brown's "Designed to Nourish" Bowls. We are still learning how to use plates and utensils. The understanding is there, but the motor skills still need some work. The rubber bands around the bottom of these bowl help keep it in place while they attempt to scoop their food. 1. Oxo Tot Sprout High Chairs. Before I praise the greatness of this chair, let me state a very important fact: They are not cheap ($250/each). Jude & Sloane's high chairs were a very generous gift from Gramsie & Poppy. Otherwise, there's a good chance I'd still be shoving my kids' poor legs in bumbos and hoping for the best. Mostly kidding. If you don't mind a splurge, these chairs will not let you down. They are so easy to clean, compact, sturdy, and (in my opinion) look great. They also last until your child is at least four, which is why I believe they are worth the price. 3. Wholesome Baby Food Website. I realize calling this a "kitchen accessory" is a bit of a stretch, but it was a lifesaver when we made their baby food. Michael and I didn't know where to begin so I started here and found some great recipes and cooking tips. And it's all FREE. I am so grateful for this website and send it to anyone who wants to make their own baby food. 4. Munchkin Bottle Warmer. This was given to us at a baby shower and I was mostly annoyed because it wasn't on our registry. Who needs a bottle warmer? Ahem. When the twins were little I pumped quite often so family and friends could help feed the babies. When it was time for the twins to eat we would spend 17 hours heating up the bottles with warm water in a bowl. We finally dusted this off and gave it a go and never looked back. If I'd pumped/bottle-fed more you better believe we would've purchased another one. 5. Oxo Tots Baby Blocks. I will never forget standing in the aisle looking at the different options for storing/freezing baby food. In the end, I purchased the cheapest storage containers I could find. I got home, poured the pureed food into the containers and popped the lids on. Except none of them popped. Instead, they either broke or sat daintily on top. I drove back to the store, bought these, and loved them. They have a great seal, come in a few different sizes (we purchased both the 2 oz and 4 oz), and are so durable. What are some of your favorite kitchen accessories? Bottle warmers were the most important thing we bought. We had two bottles warmers and used them each at least 8 times a day in the beginning! Life saver! A great list of things. 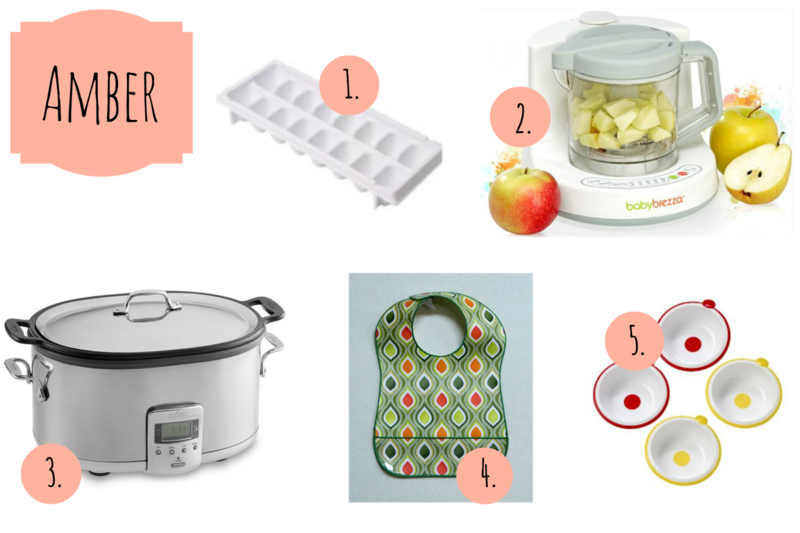 We LOVED the Baby Breeze, Oxo cups, and Boon drying rack. All three were used almost daily. These seems to be the best kitchen accessories one would wish to be added to their modular kitchen. I do believe that kitchen knives are also one amongst the kitchen accessories. These are the best kitchen accessories. I love to collect different kitchen accessories. I have huge collection of knives.I have just bought ceramic knives for my kitchen. I also have the hobby to collect kitchen accessories for my own collection.I buy most of the kitchen accessories from Cedar hospitality supplies as they provide the genuine products and service. There are Butane Journey Container Warmers that you can buy. I do believe that will one of these solution will be from a firm termed second nature. if you want to know more information visit here neobabycenter.com.